JR Wikkerink has been into food since he was young. Well actually – he still is young. 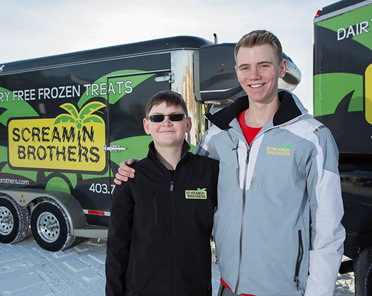 At age 17, he’s already been the founder of Screamin Brothers frozen treats for seven years. If you’re not into math, that means he started his business at 10 years old. And that’s not even the most exceptional part of the story…. And they didn’t stop there. The family was in the process of adopting two Haitian children when a devastating earthquake hit in 2010. Joseph had come home to Canada just weeks before, but David was still at the orphanage in Haiti, along with about 50 other children. JR and Dawson decided to sell their frozen treats at their parents’ stand in the Lethbridge farmers’ market and give that money to the orphanage. And they sold out, week after week. “We started our company to help children,” says JR. It was Dawson, now Chief Financial Officer of the company at age fifteen, who realized they had the power to help more children. A lot more. 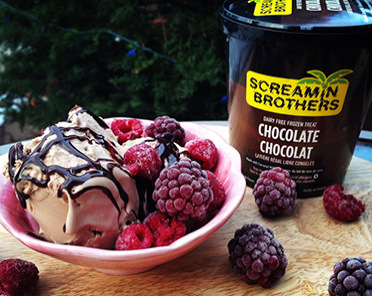 Today, Screamin Brothers donates five per cent of net profits to support children locally and internationally. Donations go to food banks, Right to Play, STARS Air Ambulance and more. Both boys admit that running a business while going to high school is a challenge. Just last night they pulled a night shift so their dad could make deliveries to Calgary in the morning, says Dawson. They also travel a fair amount for the job, whether it’s heading to Toronto to be featured on Dragons’ Den or visiting South America to source fair trade organic raw cacao. But they’re committed to the cause. “If you’re passionate about something, you can find the time,” says JR. 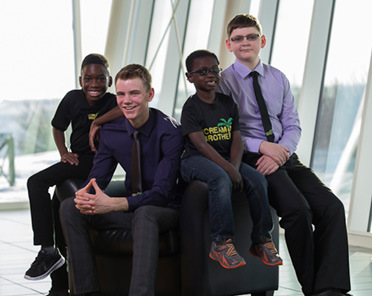 So what’s next for these successful young entrepreneurs? Dawson has a chemistry test Thursday and JR has a math exam Friday they tell me.